It seems the Facebook and Twitter is flooded with red equal signs but no one has any answers to what they mean. Well, the red equals symbol is being spread by the Human Rights Campaign group which supports the Gay marriages. The issue has come up in light of the US Supreme Court hearing over the case for next two days. The Supreme Court in the US is deciding on the Gay marriages case and Human Rights Campaign group is doing its bit to support the cause of Gay marriage. On Facebook, the HRC asked gay marriage supporters to "paint the town red," wearing red in their wardrobe as well on their Facebook pages. 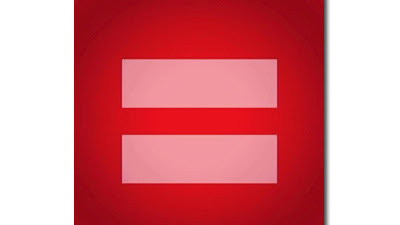 Supporters have also been asked to change profile photos over to the HRC "=" logo so if you are a supporter of Gay marriages or freedom of expression you might as will add the red equal sign. Press like on this page and express solidarity with HRC!